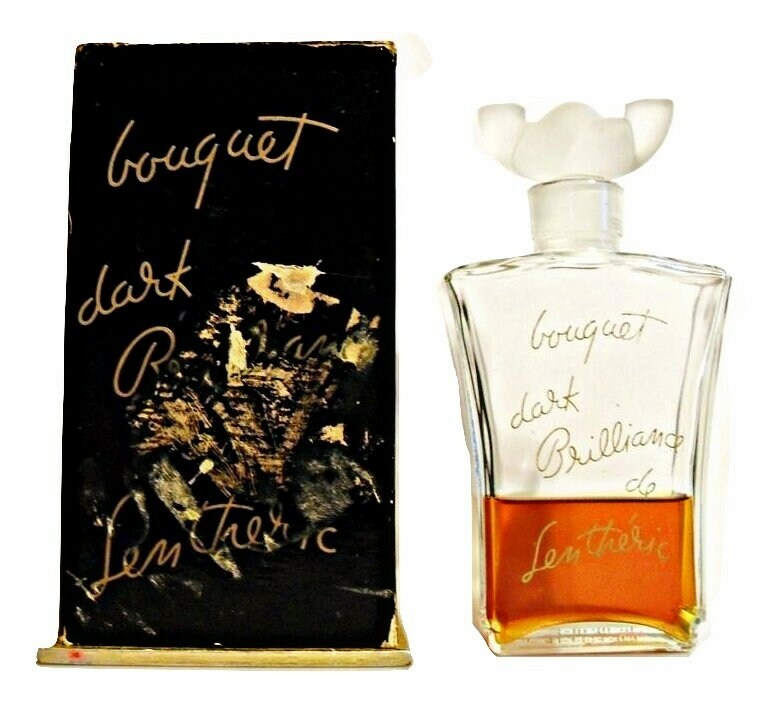 Vintage 1940s Bouquet Dark Brilliance by Lentheric 4 oz Perfume Splash Bottle & Presentation Box. Beautiful clear glass flare shaped bottle with gilded serigraphy on the front. 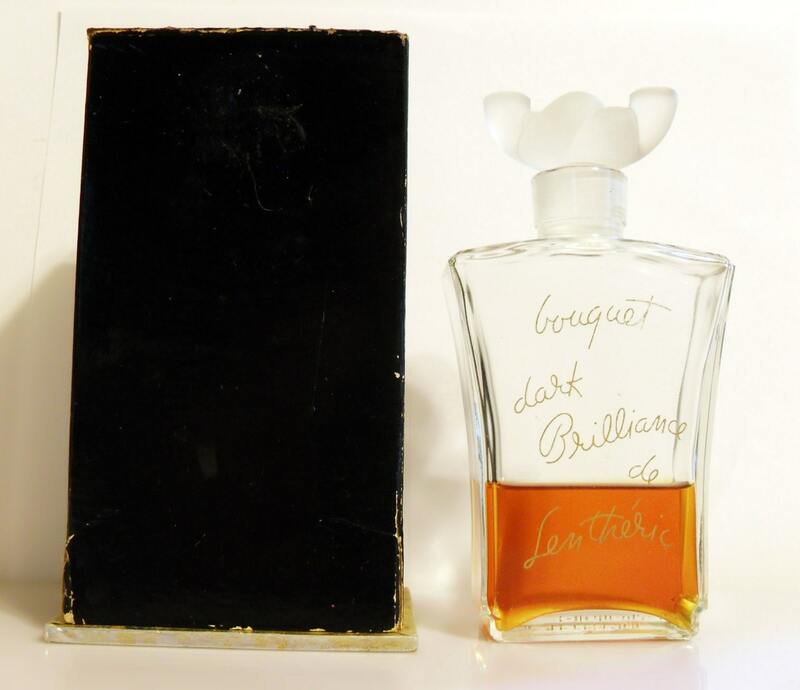 The bottle is crowned by a frosted, ground glass stopper in the shape of a knotted cord. 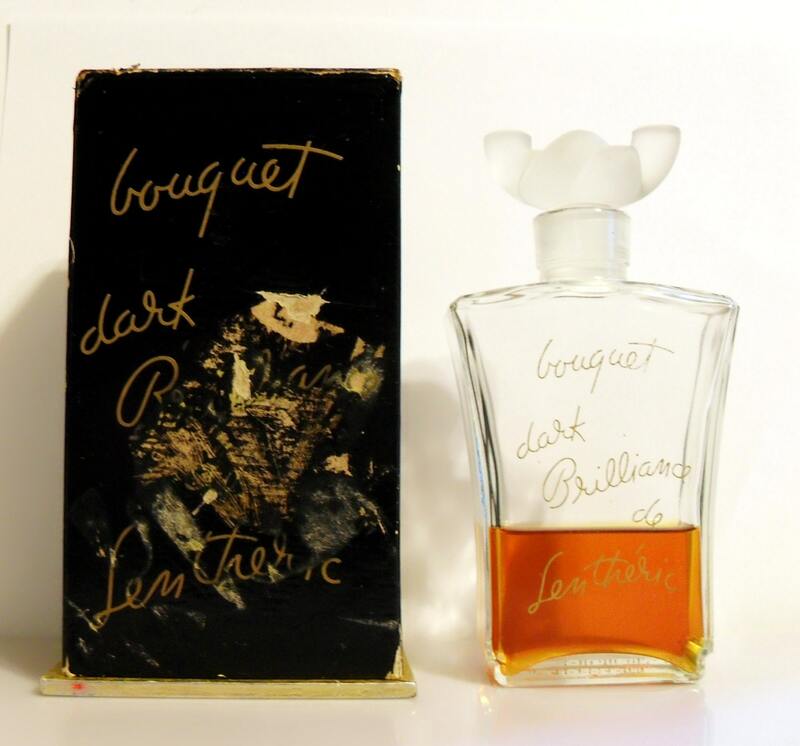 The bottle is molded with "Lentheric 4 oz" on the base. The bottle stands almost 5.75" tall. 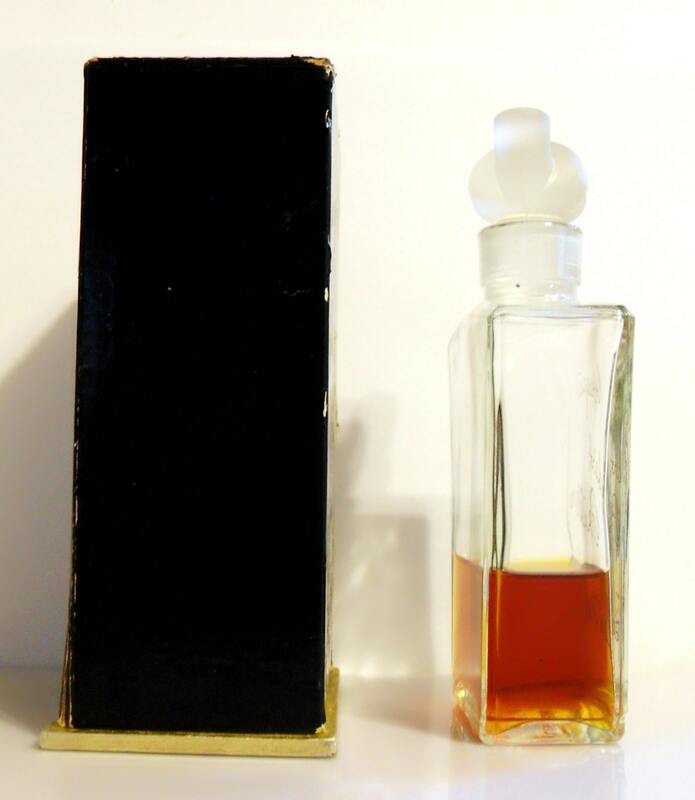 There is about 35% of the original perfume left inside. I tested it and while it is old and the top notes have turned, but after they fade away, you can still smell the rich spicy floral bouquet and the sensuous animalic drydown on your skin. It is old and no longer fresh. 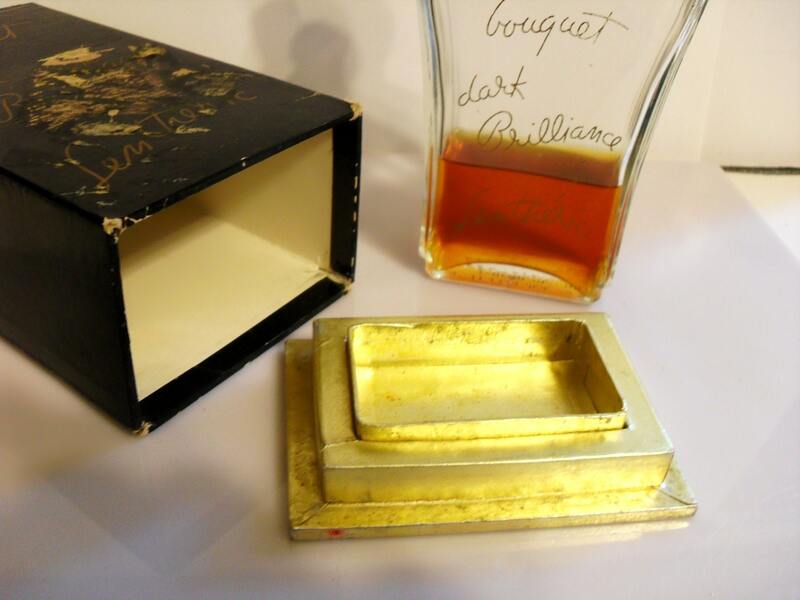 The presentation box is made up of heavy cardstock covered in glossy black paper with gold lettering with a gold paper covered base. There is a lot of wear to the front of the bottle, looks like scrapes or rubs. There is also wear to the paper along the edges and corners of the bottle. 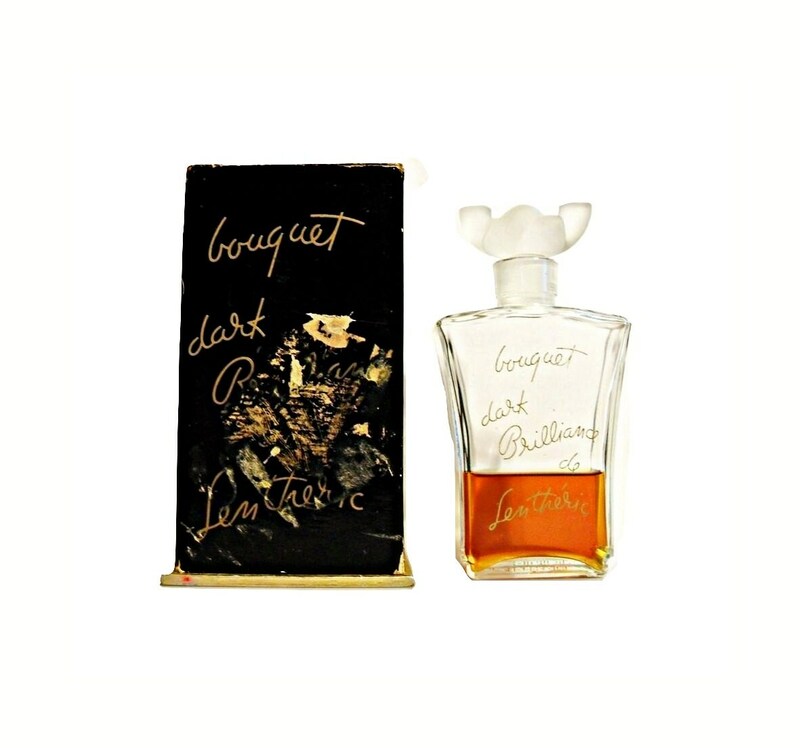 Launched in 1946, it is a heavy, sweet floral perfume on a warm animalic, ambery base. Discontinued, date unknown. Still being sold in 1960.